I hope everyone has a good Easter! 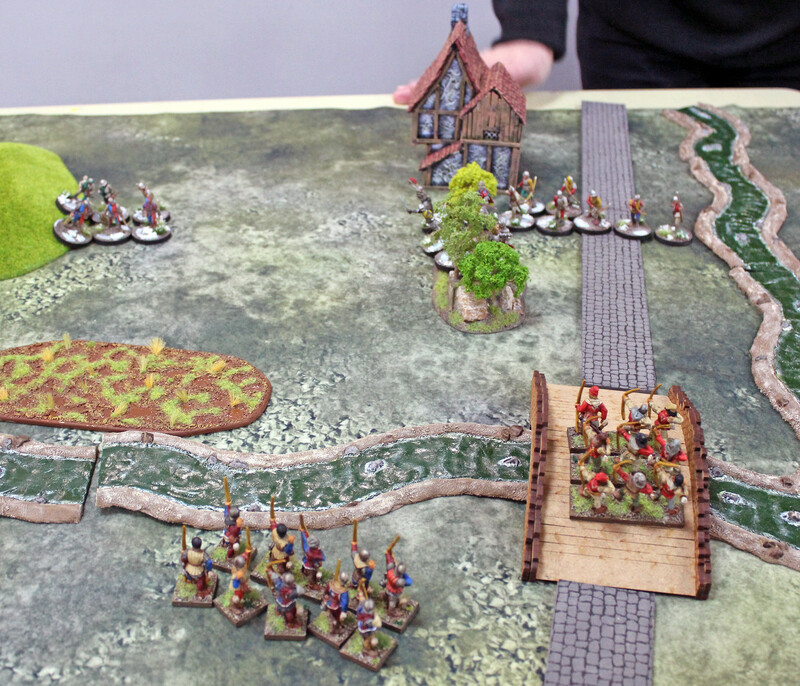 Here a few photos of a War of the Roses Lion Rampant Game we played last year. 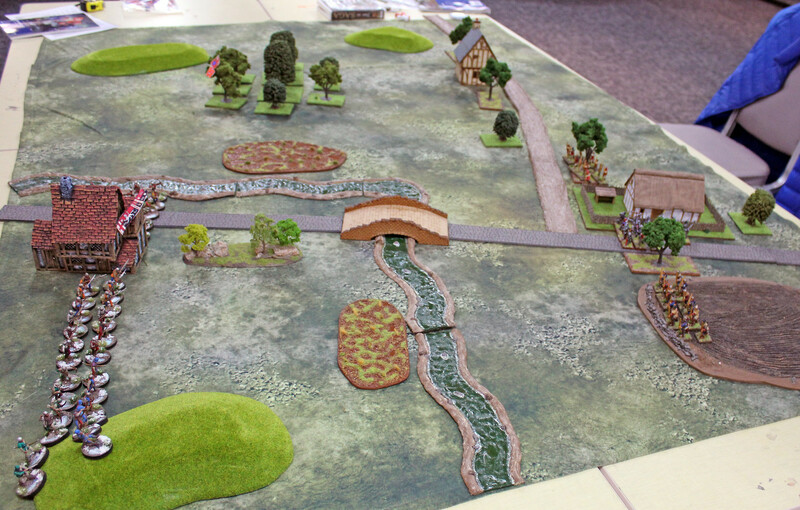 Lancastrians are deployed on the left of the table, Yorkists on the right. 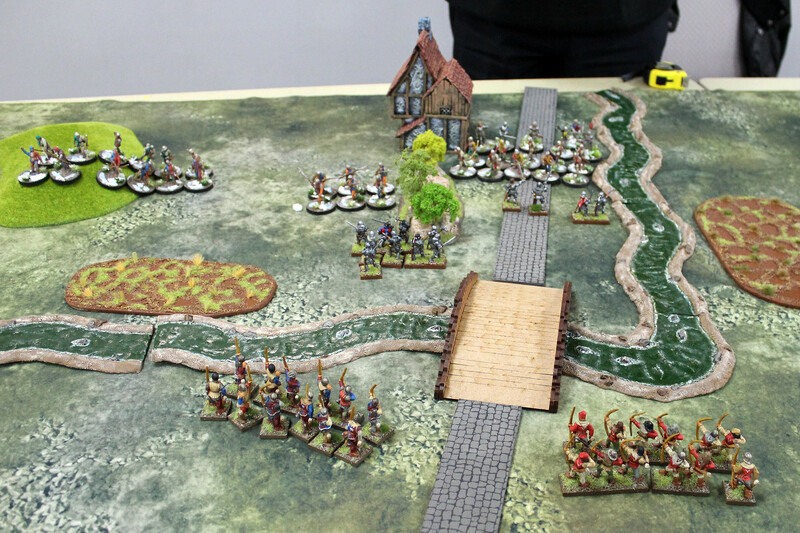 Lancastrian longbow take on Yorkist Men-at-Arms. 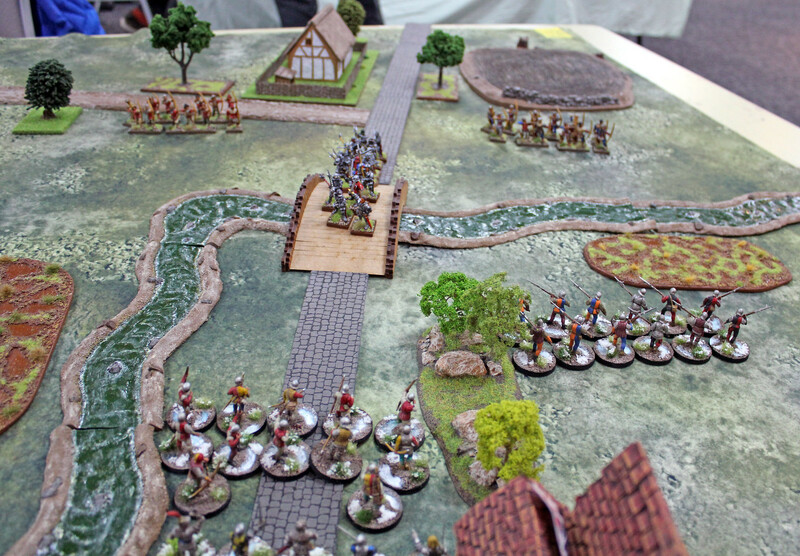 Both sides suffer heavy casualties. 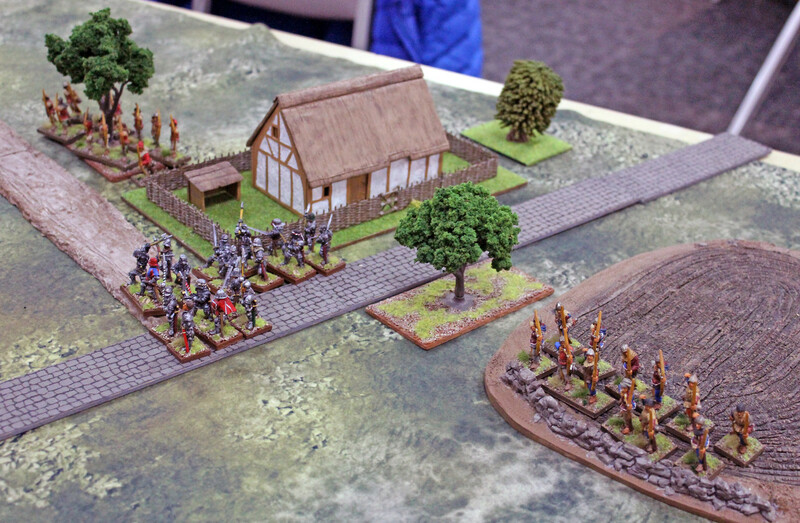 Yorkists lose the longbow shooting. 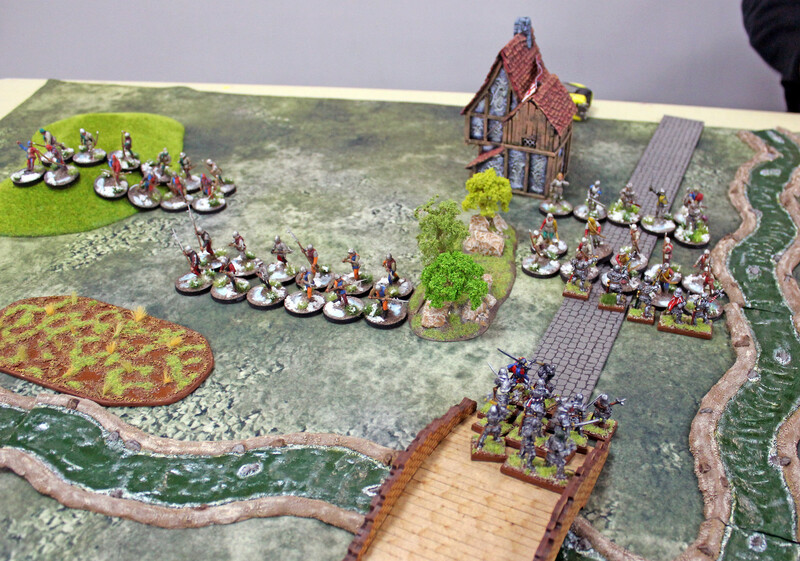 Good looking game thanks for posting Cyrus! Great terrain really adds to game pictures, no exception here. 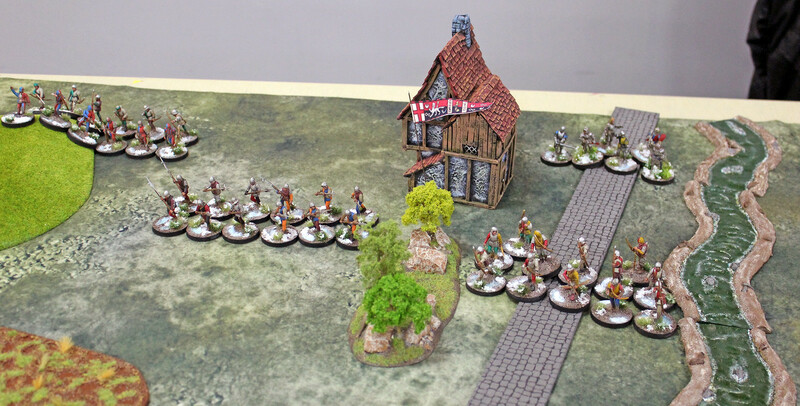 Thanks Matthew and Captain Darling, Lion Rampant is a fun game, never too predictable! Thanks Dropbear, yes they're home made swamps with puddles of water between the tufts.